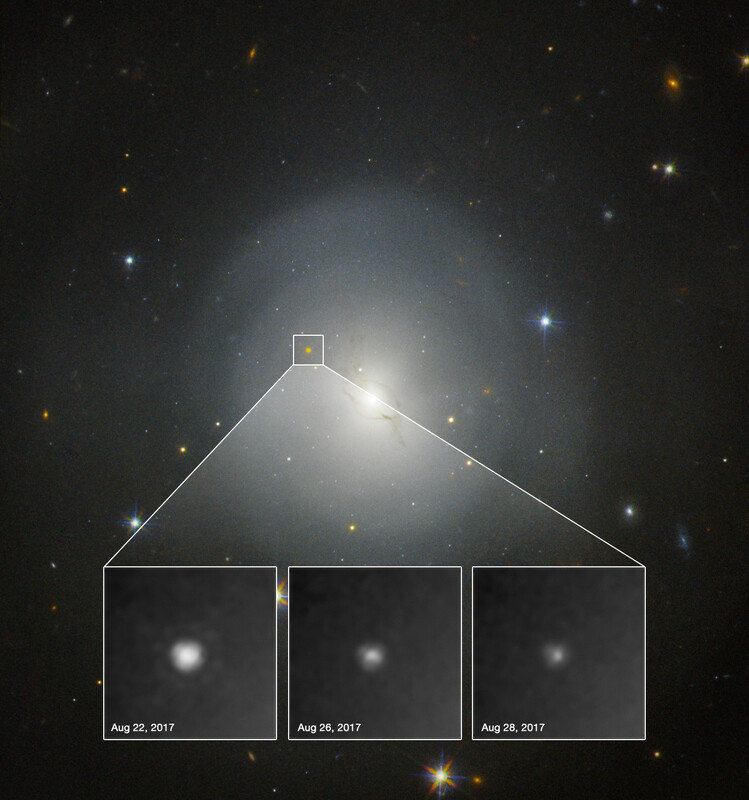 On 17 August 2017, the Laser Interferometer Gravitational-Wave Observatory (LIGO) and the Virgo Interferometer both detected gravitational waves from the collision between two neutron stars. 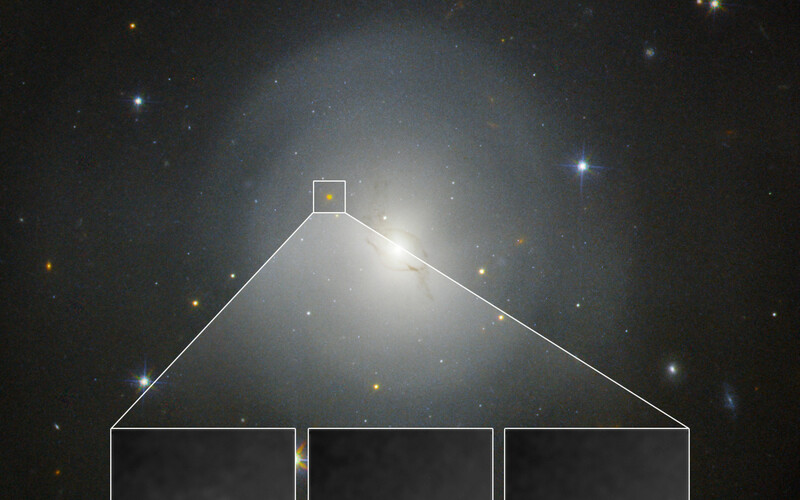 Within 12 hours observatories had identified the source of the event within the lenticular galaxy NGC 4993, shown in this image gathered with the NASA/ESA Hubble Space Telescope. 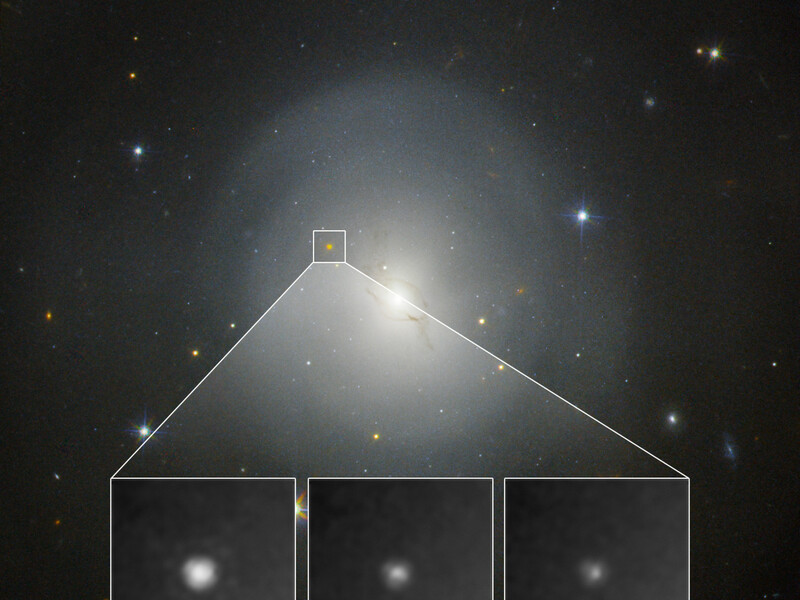 The associated stellar flare, a kilonova, is clearly visible in the Hubble observations. This is the first time the optical counterpart of a gravitational wave event was observed. 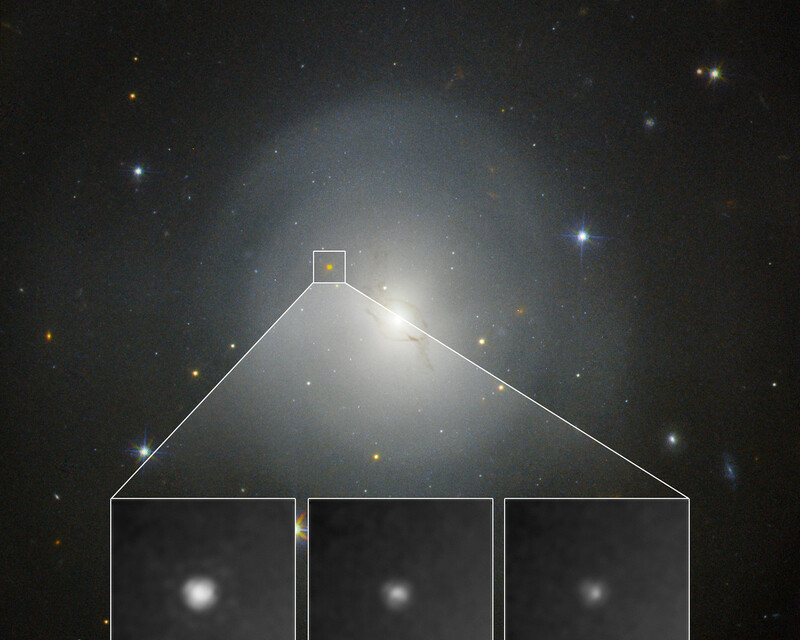 Hubble observed the kilonova gradually fading over the course of six days, as shown in these observations taken in between 22 and 28 August (insets).